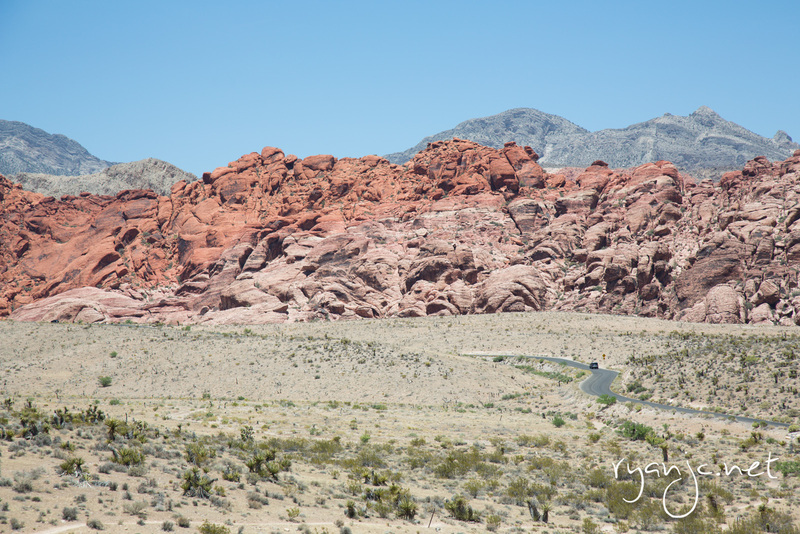 Rather than spend four hours each way driving to the Grand Canyon, we decided to just take our time and see a closer canyon, the Red Rock Canyon National Conservation Area. While it’s not a natural wonder of the world, it was pretty cool to get out of the city again and see some different scenery. Not so cool was the temperature, as the day was a sweltering 100° day in the middle of the desert. Fortunately, the sights of Red Rock Canyon can be taken in by driving the 18 mile loop with optional hikes of varying lengths and difficulty. The sense of perspective and size is hard to grasp. You can compare it with that tiny car.